The Maxi Wide Guillotine is the ideal, heavy usage, crafters guillotine. 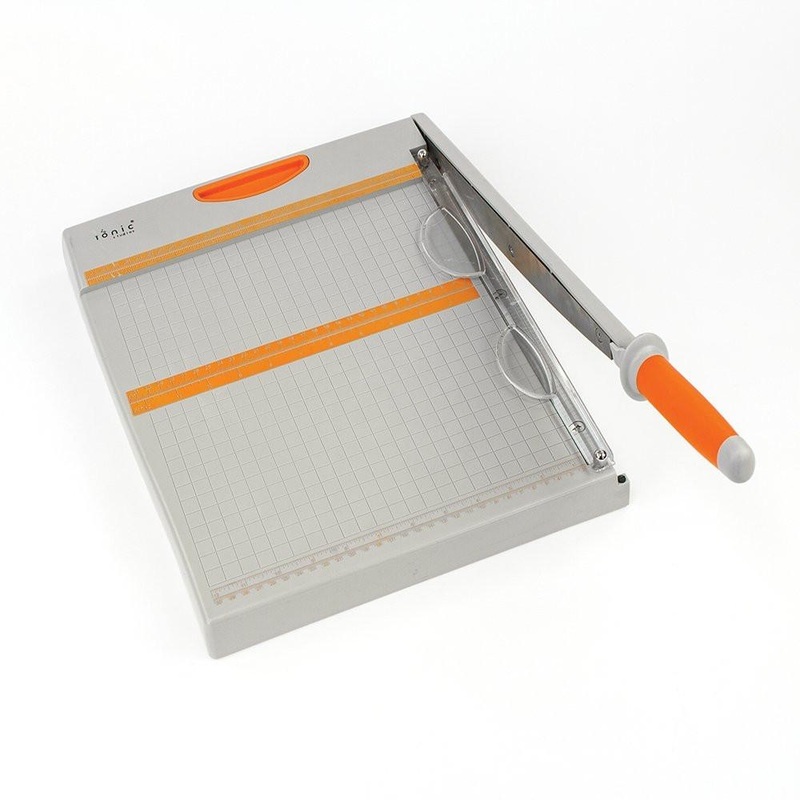 This quality tool has a full base which can cut and measure full size 12" x 12" paper. Comfort handle which can store under the base when not in use. Cutting length 12.25" x 31cm. Safety bar for heling down cardstock to ensure a crisp clean cut. Hardened Stainless Steel precision ground blades. Measurements widths up to 12.25" / 31cm. Magnetic storage area for small metal clips. Product footprint (without handle attached) 18.5" / 47cm x 18.5" /47cm.